In the world of Web apps, simple, intuitive and visual are the operative words. And an emerging app from the Wisconsin Institute for Discovery’s Field Day Lab called Siftr seems to be hitting all the right notes. 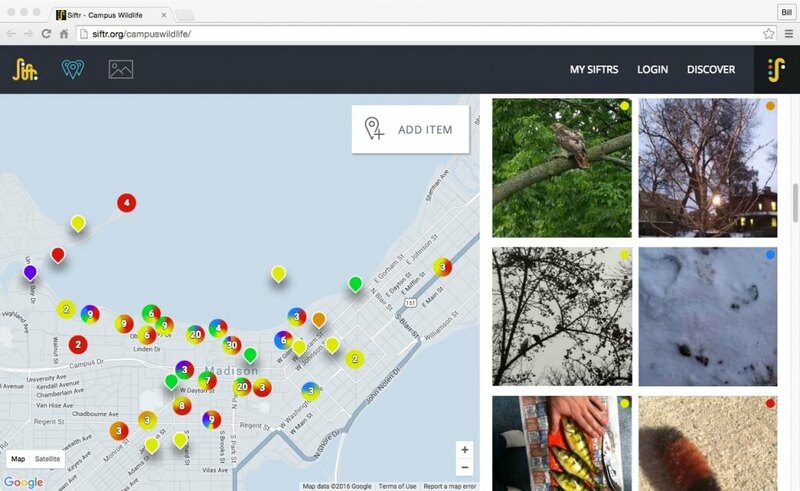 Siftr users set up pages around topics — in this case, urban wildlife — and participants upload images according to a direction set by the organizer. The page then generates a map, placing whatever object or phenomenon in its spatial context. Introduced a couple years ago as a free and open resource, Siftr is already in use by hundreds of people in different corners of the globe and is gaining traction, especially among educators who use the app to help students explore the word around them. “We wanted to build a technology that everybody could use for free, that could serve as an exchange and be a way to engage students,” says Gagnon. Siftr users set up pages around topics, and participants — be they students, hikers, food cart aficionados, nature center visitors, cloud watchers, mitten finders, coffee sippers or graffiti trackers — upload images according to a direction set by the person organizing a Siftr. The page then generates a map, placing whatever object or phenomenon in its spatial context. 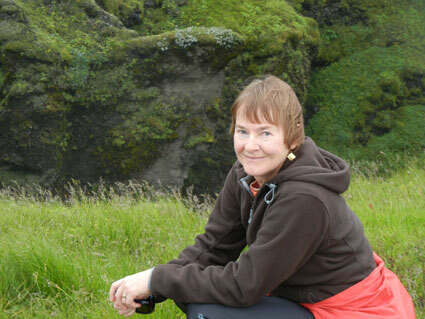 UW-Madison folklorist Ruth Olson began using Siftr two years ago beginning in the introductory Folklore 100. “I use it to have students practice sorting cultural items into different genres,” says Olson, who dispatched her students to get pictures of everyday art and stories as well as phenomena that conveyed traditions and folk groups. Given that the assignment was over a football weekend, she ended up swamped with stories and images about UW football traditions. But students also came up with other creative Siftr entries like tattoo art, graffiti and what Olson call “latrinalia,” scribbling or art found on bathroom walls. Her students were required to follow up with an essay, so Siftr became the starting point for data collection and for interviewing various subjects. Another early Siftr adopter is the Nelson Institute’s Cathy Middlecamp. She uses the technology within the framework of Environmental Studies 126, Principles of Environmental Science. “One of the learning goals of my course is to get our students to see the campus and the world with new eyes,” explains Middlecamp, whose 100-plus students have a three-hour lab period each week to explore things like energy efficient buildings, food choices, recycling and power generation. After a recent snow, she unleashed her students on a quest to find evidence of the wildlife — birds, squirrels, even foxes — that share the 900-acre UW–Madison campus, adding to the eclectic mix of Siftr topics to be explored. Siftr, according to Gagnon, is in constant development and his group is actively seeking others to engage with the Siftr platform and perhaps develop ancillary functions that can make the free resource even better. 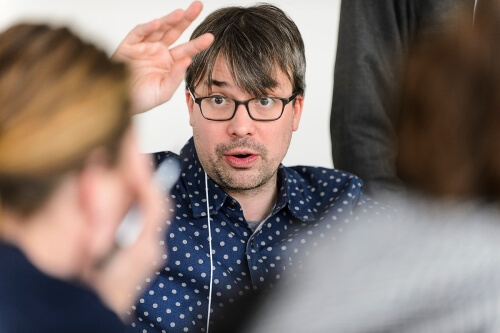 He is constantly discovering new Siftr endeavors like Anthropocene: Modern Fossils, a Siftr set up for this spring’s edition of the course World Environmental History.